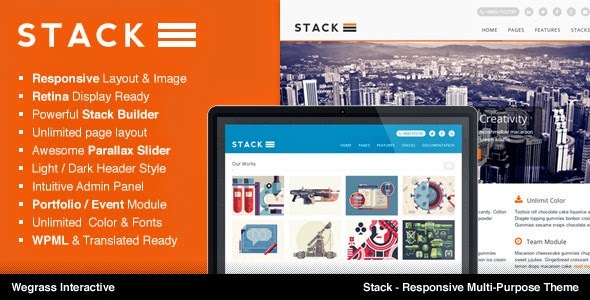 Stack is a clean, flexible, responsive on both layout & image (deliver different image sizes at different resolutions & layout to decrease load time on small display) and fully support retina display. The Theme backend is powered with brand new “Stack Builder” and fully support WPML multi language plugin. Stack also come with a lot of custom modules which will make things easier and more organized: Portfolio, Event, Person, Testimonial and Slide.